In the 1940s, at McGill University’s Montreal Neurological Institute, the famed Canadian neurosurgeon Wilder Penfield was treating severely epileptic patients by surgically destroying specific brain areas from which the seizure was thought to originate. Prior to operating, he applied very slight electrical stimulation to discrete regions of the motor and sensory cortex and, with his colleague, the neurologist Herbert Jasper, mapped the body part that responded to stimulation. Together, they constructed a homunculi (“little man”) map representing specific parts of the body affected by motor and sensory brain sites. Studies conducted at the California Institute of Technology during the 1960s provided greater insight into brain lateralization (functional specialization). 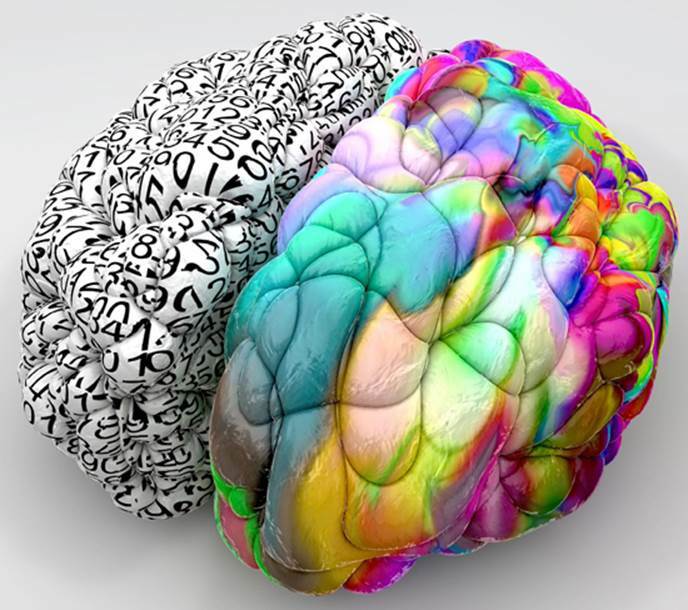 The left and right cerebral hemispheres (sides) of the brain are almost identical in appearance and yet are very different in carrying out functions. The two hemispheres normally communicate with each other through a thick band of nerve fibers called the corpus callosum. Since the 1940s, large portions of this band had been severed to treat severe epilepsy, resulting in split-brain patients; these operations are now rare. The psychobiologist Roger Sperry and his graduate student Michael Gazzaniga tested the functioning of each hemisphere independent of the other in split-brain humans and monkeys. In about 1964, they found that while each hemisphere was able to learn, one hemisphere had no perception of what the other hemisphere learned or experienced. The results of these studies led to the conclusion that the left and right hemispheres are specialized in performing different functions. The left brain is primarily concerned with analytical, verbal, and language-processing tasks, while the right side handles the senses, creativity, feelings and facial recognition. Sperry was awarded the 1981 Nobel Prize for his split-brain discoveries. Individuals are often characterized as being left-brain or right-brain thinkers. Left-brain persons are said to be more logical, fact-oriented, linear thinkers, and concerned with structure and reasoning, while those labeled as being right-brained are said to be feelings-oriented, intuitive, creative, and musical. Although this makes for interesting conversation at cocktail parties, there is no compelling anatomical or physiological evidence to support these labels, and most scientists regard this characterization as a myth. SEE ALSO: Localization of Cerebral Function (1861). The left brain is said to control analytical, structured thinking, while the right brain is believed to influence creativity. This left-brain, right-brain distinction is popular but has generally been discounted by neuroscientists.